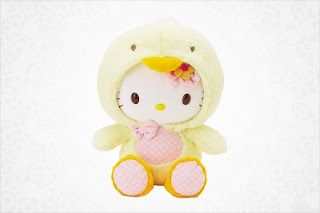 Yesterday, I realized I couldn't not go to my local sanrio store and not buy the yellow Baby chick Hello Kitty plush. 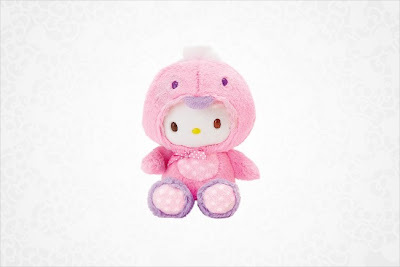 I went there intending to buy just the baby chick plush, but I saw the matching pink plush and I couldn't resist it. Both plushes are definitely adorable! ^ I bought this small version as well. Most likely will buy the 18" version when I have more $ to spend. Also, I bought a tiny My Melody sleeping plush and a couple of My Melody pencils, which I'll add a picture to the blog either on Saturday or Monday. For you, U.S. 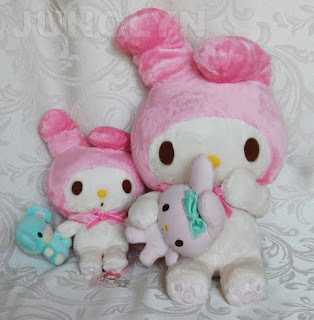 Residents, you can now buy the *Pipi & Popo* plush in USA Sanrio stores now. 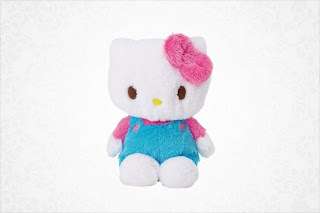 I saw the small and big version at my local Sanrio store.